Once your baby hits the 6-month mark, it’s likely that you’ve had time to think about the type of baby food you want to feed them. The best baby food is certainly something to look for as it’s a great way to get a baby used to solid foods. This is typically a gradual process, as after being on a diet consisting of formula or breast milk the baby needs to get used to the taste and texture. 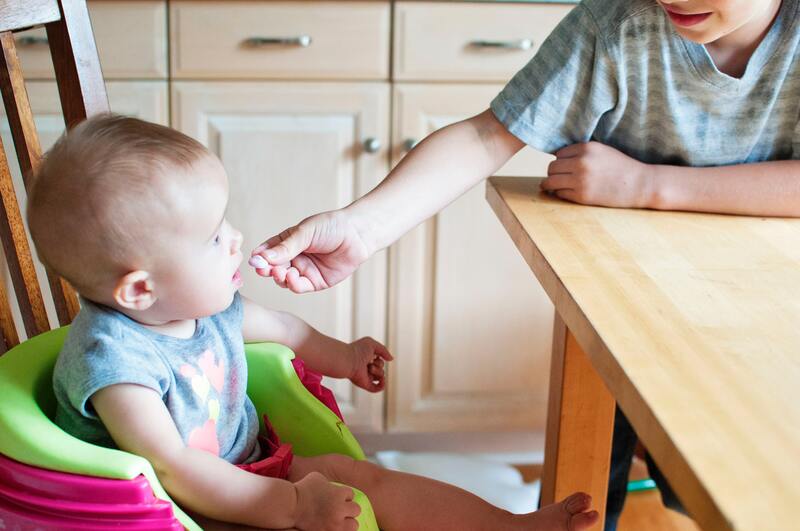 Feeding them baby food is an effective way to adjust them to the solid food they will be eating when they grow up, it gets them used to the idea and method of eating solids. However, as parents, we want to know which foods are the best for our babies, in terms of both nutrition content and safety. This often means avoiding non-organic baby foods that often contain foods grown in the presence of chemical fertilizers and pesticides. With these important factors in mind, we have reviewed some of the best organic baby food brands, with both budget and taste considered. Can my Baby Eat Baby Food? The American Academy of Pediatrics recommends that babies be breastfed entirely for the first four months and ideally up to the age of at least 6 months. Many children are breastfed much longer than this period, even when they begin eating solid foods. Commonly parents begin introducing solids in the form of baby food after 6 months and when they show signs of having an interest in solids. However, it goes without saying that you should always get dietary advice from your pediatrician, who will be able to provide guidance on how and when to introduce new foods and advice on whether the best baby food brand of your choice is adequate for your child. Founded in 2006, Happy Baby is a relatively new brand, offering an all-organic range of baby food, largely served in pouch-design packaging and containing zero preservatives. Pouches are a relatively modern innovation that allows for convenient serving on the go and at home – you simply squeeze into a baby bowl and your little one is ready to eat. This certainly beats having to empty a jar that can be a laborious task, especially when you have a million other things to do. Like all organic baby food products, it does need to be used within 24 hours of opening. The outer packaging itself is clear, well labeled and offers a realistic display of the listed ingredients inside, it looks very appealing and is a great way to teach kids to name the items of food they eat. Just like all of the best baby food brand choices, the ingredients are all certified USDA Organic, free from gluten and contain no added sugar or artificial flavorings. They have a brilliant range of foods for a variety of stages; the baby options include single fruit purees such as mango, banana and butternut squash. This is a good range of different tastes and textures to experiment with, bland carbohydrates and sweet fruits are baby faves. As well as puree pouches, Happy Baby also offers a range of other creative baby foods including superfood puffs packed with vitamins and minerals, and gentle teethers that are organic teething wafers. Another largely pouch-based baby food brand, but as their name suggests they put a huge emphasis on their organic based baby food. Reflecting this, their puree based food is certified USDA Organic and free from preservatives as the best baby food brand options should be. The flavors and ingredients Plum offer are unique, which is perhaps one of the biggest selling points against the competitors. Simple ingredients are good too, but unique flavor combinations such as “pear, spinach and pea” and “banana pumpkin” offer more ways to experiment with different textures, tastes, and mixtures. Better still, the ingredients are all sourced in the US, this obviously doesn’t include the fruit and veg that don’t grow here though – these are imported from Mexico. Still organic of course! The pouch design is bright and inviting to kids, and easy to pack away in a bag for busy parents on the go. The pouches are also BPA free and the caps are recyclable, meaning they are better for your child and for the environment. Named after the founder Paul Lindley’s little girl Ella, the story of behind the company’s mission is very relatable – organic foods that offer convenience and variety while tasting great (If you’d like, you can read more about Paul and the Ella’s Kitchen philosophy here). This brand is an all-organic range of baby food, which gets the vote from parents concerned about the nasties often found in non-organic foods, such as preservatives, pesticide residues, fertilizers, and antibiotics. The range itself has a selection of fruity flavors including strawberries and apples, a very enticing sweet taste for even the most stubborn of babies. The ingredients list also highlights just how simple and healthy they are, for example, one pouch just contains: organic pears, organic apples, and organic brown rice. Simplicity makes us feel more secure and confident when considering the best baby food brand. The packaging is often as important as the taste when it comes to children, so the fact that the pouches are bright and colorful makes them super child-friendly. The pouch itself is also very tactile and easy to use, further stimulating your child and encouraging them to have a taste. Another bonus is that unlike glass jars, pouches won’t smash and are very easy to pack away in rucksacks. Established back in 1985 and known for their whole natural and high-quality ingredients, Earth’s Best is an organic baby food that is available in stores and online. They are a bit pricier than the other best baby food brand options, but you can save a lot by buying online. The variety of flavors largely includes a selection of fruit and veg, such as carrots, peas, and potatoes, bland enough for baby’s taste buds, but still enticing enough to encourage them to experiment with their first solids. The ingredients are incredibly simple, which will be reassuring to many mothers and fathers out there. Take the “My First Carrots” ingredients list, for example, Organic carrots and water – nutritious, healthy and natural food. Unlike many baby food brands, Earth’s Best does not contain any added sugars, salts, artificial flavors, preservatives of any kind. Obviously, the downside of this is that it has to be used within one day of opening, but well worth the sacrifice for feeding your baby fresh, natural food. The jar containers are all made from glass, which alleviates any concerns regarding BPAs commonly found in plastic packaging. It’s also worth mentioning that the lids no longer contain BPA either. A character-driven brand is always a good idea to entice kids, especially one that is organic and based in Oregon, USA. As well as the attractive packaging, the flavors on offer include a banana, mango and orange combination and apple and grape. They also provide kids with “one of their 5 a day” which is always a bonus. Many parents have a concern about the sugar content; however, these are natural sugars, not the processed variety, which should be people’s main focus. One of the common critiques of this brand lies in their labeling of the ingredients. Take the “pea, spinach and apple” puree, for example, it’s made mostly of apple. The other options in the range that contains apple are also mainly apple. This isn’t the end of the world by any means, but something that may irk some parents. Apart from that, these are all natural baby food products packed nicely into a convenient pouch design. In terms of price, they’re very similar to other rivals, so it’s largely personal choice that will drive the final decision. Many people prefer to choose organic food due to the potentially negative things often found in non-organic foods, such as pesticide residues and fertilizers. Traditional baby food options typically contain many preservatives too, while organic options often contain zero preservatives. In any case, if you fed your baby on a diet of organic formula, it’s likely that you will want their solid food to remain organic too. In terms of nutrient content, the debate is still open as to whether organic fruit and vegetables contain more nutrients, so you shouldn’t let this be the main reason behind choosing organic. Opting for organic foods is largely a choice to avoid the potentially toxic residues left from modern farming practices. Regardless of where the evidence is currently at, many people continue to vouch that organic fruit and vegetables taste better than non-organic options, and always make the best baby food. USDA Organic: This means they are free from chemical fertilizers, hormones, pesticides, and genetic modification and consists of at least 95% organic ingredients. 100% Organic: Same as above but made with 100% organic ingredients. GM-Free: Free from Genetically-modified ingredients. Made with Organic Ingredients: Made with at least 70% organic ingredients. Which Baby Food is Best to Start With? The best baby food is made with love, at home, by a caring family member. For those of you who do enjoy home cooking, you may want to take to make your own food for the new member of your family. We would really recommend a book called “The Best Homemade Baby Food on the Planet” authored by Karin Knight and Tina Ruggiero which can be found here on Amazon. It’s filled with recipes and ideas to make the most nourishing and tasty baby food! Different foods have different benefits and there are certain food types that are positively great for facilitating a healthy start in life. The following food items can be incorporated into your little one’s diet at certain stages within their first 12 months to open them up to new experiences, new tastes, and colors and to also aid their development. But what foods do you introduce baby to first? And when can you introduce other foods? Check out some of the suggestions below to get an idea of what a baby can eat and when and also what they a baby shouldn’t eat at all. Iron-fortified cereals make a good starter solid choice as a babies iron reserves begin to reach their lowest when they reach 9 months old. Iron is used by the body to create hemoglobin which is essential for red blood cells to carry oxygen. According to the Canadian Paediatric Society Nutrition Committee, this is important for a babies normal brain development. Start out by mixing just 1 teaspoon of single grain cereal with about 5 teaspoons of breast milk. This will produce cereal with a runny texture that’s easy for the baby to swallow. You can then thicken it up by using more cereal when your baby is more used to this meal. Baby rice is the best cereal for babies to start with. What’s important to note about baby rice is that it’s a cereal that does not contain gluten. An allergy to gluten can be developed if introduced within the first 6 months. It’s a good food for weaning from formula or breast milk as it tastes milky. Vegetables that are pureed to have a very soft, smooth or mushy consistency are vital for a balanced diet consisting of valuable vitamins and minerals, including iron. Mash your selected vegetable(s) and add a small amount of breast or formula milk to get a smooth, easy to swallow consistency. Certain vegetables are easier to puree than others, and they can also offer different benefits. Sweet potatoes are very easy to mash and swallow. They contain a relatively high concentration of beta-carotene, a prerequisite to vitamin A. Vitamin A is important for immune defenses from infection and the development of healthy skin and eyesight among other critical developments according to this World Health Organization study. 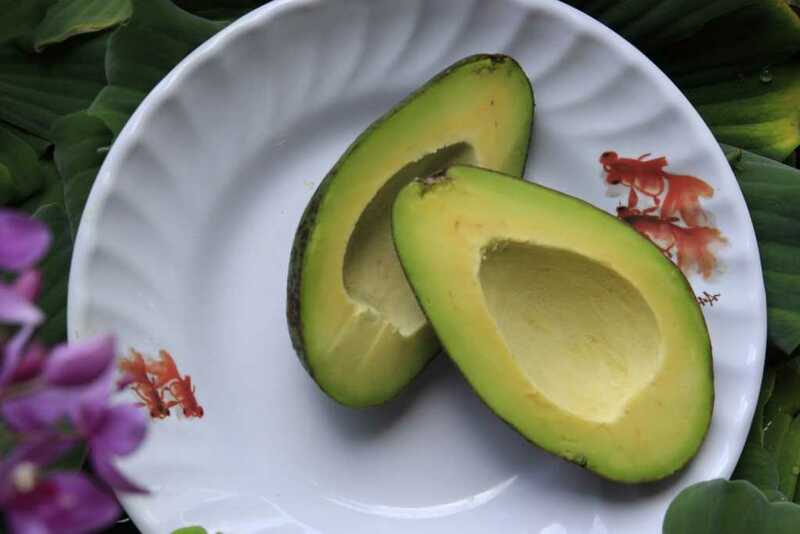 Avocados are another quality ingredient to use in your homemade baby food recipes. They’re really soft and easy to mush into a creamy and healthy puree. They’re packed with what are known as good fats (the monosaturated kind). A good veggie for weaning a baby onto a solid diet is carrots. They are sweet and taste great, easy to mash after being cooked. More beta-carotene is present in older, darker carrots. There’s no sense in your baby missing out on a superfood like broccoli. It’s absolutely packed with vitamins, minerals, beta-carotene, folic acid, and phytonutrients. It may have a bitter taste that doesn’t appeal all that much to infants so its best mixed with sweeter vegetable options. Beets are a great source of beta-carotene, potassium and folic acid and sweet to taste which is why babies favor them. They can be tricky to mash, make sure that you roast or steam them first to get them as soft as possible. Meat can be harder to swallow and digest initially but they are the best source of protein and that’s advantageous for a growing body. They also contain vitamins such as iron, B6, zinc, and niacin (B3). Make sure they are pureed well and mixed with vegetables and other foodstuffs for a balanced diet. Fruits are much softer and easier to eat and don’t always need to be pureed as vegetables do. They are convenient, can help fight against constipation and diarrhea alongside other sources of fiber and no doubt are some of the best baby food to start out with. It can be difficult to make a puree with fruits such as pears, peaches, and plums because they can become very runny. A good thickener to use is baby rice! Bananas are soft and portable, they make a great food to keep with you when you and baby are on the go. They are super tasty when pureed and mixed with other fruits like apples and you can also break off tiny pieces that your baby can swallow. Within the first 12 months, apples should only be given when pureed as they are a bit too crunchy otherwise. They are easy for your child to digest and mix well with other flavors making them one of the best baby food ingredients. Blueberries are best pureed and mixed with other fruits such as apples and bananas. They are a real super food since they contain the highest concentration of antioxidants than other fruits. They are also rich in vitamin C.
Just as there are the great foods listed above that babies can eat, there are also some that you should certainly avoid. Babies can have a lot of trouble digesting cows milk and generally can’t digest it at all due to the lactose and different proteins that it contains. Experts recommend avoiding cows milk altogether until at least 12 months old. 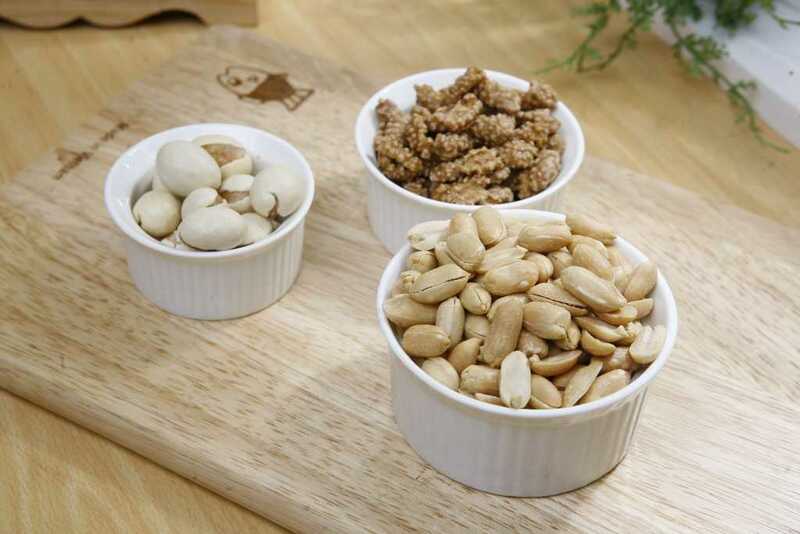 All nuts, including peanuts, should be avoided completely because they could spur in an allergic reaction that could be extremely dangerous for an infant. After 12 months smooth peanut butter can be introduced in very small amounts but generally, nuts should be avoided until at least 4 years old. There’s a small chance that honey can contain the spores of a bacteria called Clostridium botulinum. The spores of this species of bacteria release a toxin called that causes botulism, a rare illness which affects the nervous system. Unlike adults, the tummy of a baby can’t deal with this toxin and can result in a fatality, so don’t take the risk and avoid honey until at least the 1st birthday has passed. 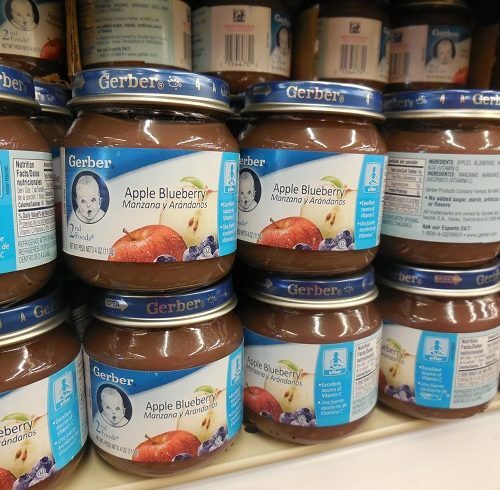 What Do You Think is the Best Baby Food Brand? With a variety of baby food options out there, it can be quite difficult to decide which one to select and sometimes it’s just a case of getting your baby to try a few and seeing which they take to. Why not let us know what you think is the best baby food brand? Is it one we have mentioned in the above reviews, or is it mothers own? Let us know in the comments below!